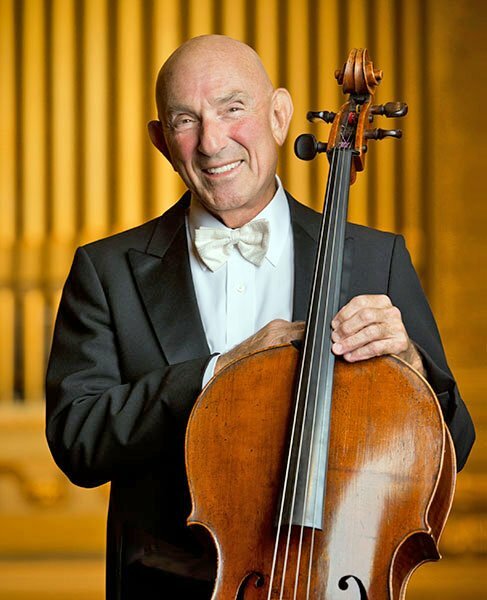 “Possessed of a certain glamor”, reported Michael Steinberg in the Globe in 1964 of the BSO’s new 32-year-old principal cellist Jules Eskin, who died today in Brookline, of cancer at 85. Of his debut, some months later, in the Brahms Double Concerto with concertmaster Joseph Silverstein: “Eskin’s tone [is] warm…. His style is chamber-musical, rather quietly inflected…. He resisted all temptation to force or to inflate his playing, and it was in its quiet way playing of impressively sensitive responsiveness and intelligence”. Eskin played for five different BSO music directors, including Erich Leinsdorf, William Steinberg, Seiji Ozawa, James Levine, and current music director Andris Nelsons, and performed as soloist on numerous occasions. He occupied the Philip R. Allen Chair, endowed in perpetuity. In addition to the Brahms, Eskin was featured with the orchestra in Strauss’s Don Quixote, Bloch’s Schelomo, Beethoven’s Triple Concerto, Schuman’s Song of Orpheus, and concertos of Barber, Dvořák, Haydn, Saint-Saëns, and Schumann. He participated in the orchestra’s many tours, including the historic one in 1979 to China under Ozawa. Major repertoire in which Eskin served as principal under the direction of Nelsons included Mahler’s Symphony No. 6, Strauss’s Ein Heldenleben, Prokofiev’s Romeo and Juliet, and Shostakovich’s Symphonies 5 and 10, the latter of which won the Grammy Award for Best Orchestral Performance last February. He was a founding member of the Boston Symphony Chamber Players, which Leinsdorf established in 1964 and which was the only chamber ensemble made up of the principals of a major orchestra. With them Eskin toured throughout the world on numerous occasions, including the Soviet Union in 1967 and South America in 1998. He recorded extensively in repertoire ranging from Mozart to Gandolfi, most recently appearing on the ensemble’s 2016 BSO Classics release of serenades by Dvořák and Brahms. The ensemble’s Profanes et Sacrées: 20th-Century French Chamber Music, released in November 2011, was nominated for a Grammy. Eskin and the Chamber Players celebrated the group’s 50th anniversary with a series of special programs during the 2013-2014 season. Before the BSO, Jules Eskin spent three years as principal cello with the Cleveland Orchestra under George Szell (playing the standard-setting third-movement solo in their historic recording of Brahms’s Piano Concerto No. 2 with Leon Fleisher) and seven years with New York City Opera. 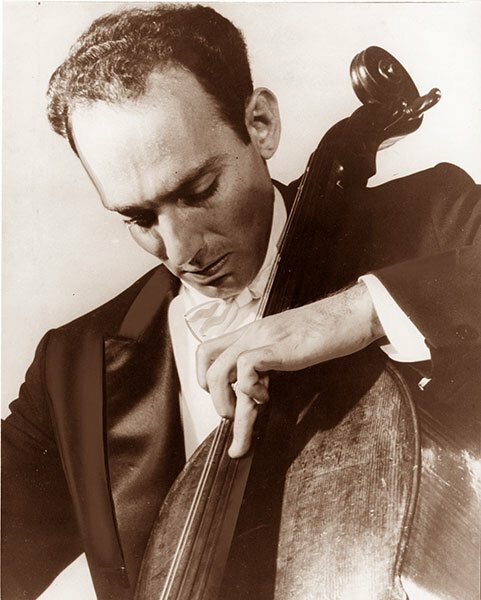 Born in Philadelphia in 1931, Eskin had his first cello lessons with his father, Samuel Eskin, an amateur, but by the age of 16 had joined the Dallas Symphony Orchestra under Antal Dorati. Eskin studied with Janos Starker in Dallas and later with Gregor Piatigorsky and Leonard Rose at Curtis. In 1948 he was a fellowship student at the Tanglewood Music Center, performing in the TMC Orchestra under Serge Koussevitzky. In 1954, Eskin was awarded first prize in the prestigious Walter Naumburg Competition and gave his New York Town Hall debut, leading to an extended concert tour in Europe. He also participated in the Marlboro Music Festival and played with the Casals Festival Orchestra in Puerto Rico. In addition to concerts and recordings with BSCP, his chamber music collaborations included appearances with Isaac Stern and Friends, the Guarneri String Quartet, and others. Eskin is survived by his wife, BSO violinist Aza Raykhtsaum, sons Alexander Eskin and David Eskin, and his stepdaughter Anna Raykhtsaum Tratt. An earlier marriage (to pianist Virginia [Rubottom] Eskin) ended in divorce. An interview by Brian Bell is here. We are all indebted to the BMINT staff for assembling this lovely biography and a bouquet of tributes in such a timely manner. I had the great honor of playing with Jules on several occasions with the Boston Symphony Chamber Players at Jordan Hall. I will never forget our first rehearsal of the Brahms clarinet trio (with Bill Hudgins). When Jules, then aged 82, played that magisterial opening- which I’d played with countless others- my jaw dropped. I’d never heard such command, such expression, such tonal magnificence. He was simply definitive. He was a true legend. Many are called “legends”, but Jules was exactly that. His life was spent in the successful pursuit of artistic excellence. I am much richer for having known him. May his spirit take comparable wing and flight in his new home.